The December festival continues with 2nd editions and spills over to January. 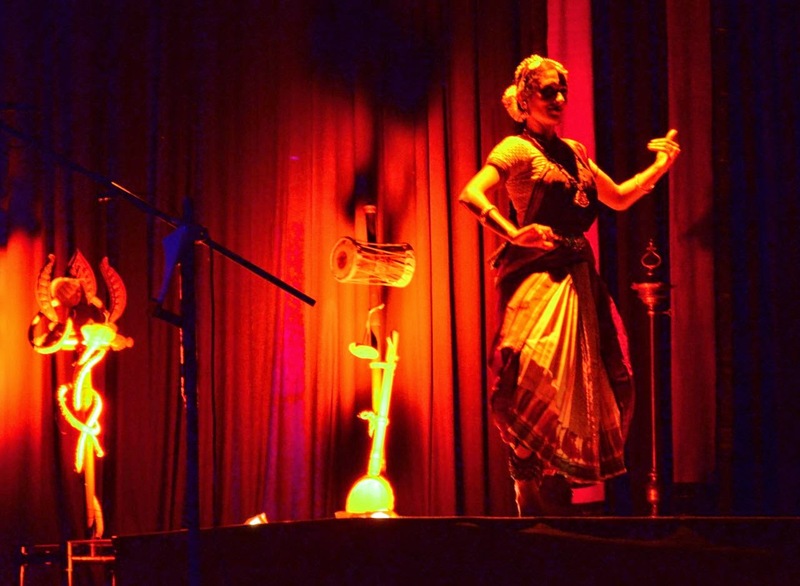 Bharatiya Vidya Bhavan, Mylapore conducts Bhavan’s Cultural Festival 2014 (Music Series 2nd Edition) from 26th December 2014 to 12th January 2015. 11.00 a.m. - Niranjana Srinivasan (Vocal). Rarely you get to listen to Hindustani music in Chennai. 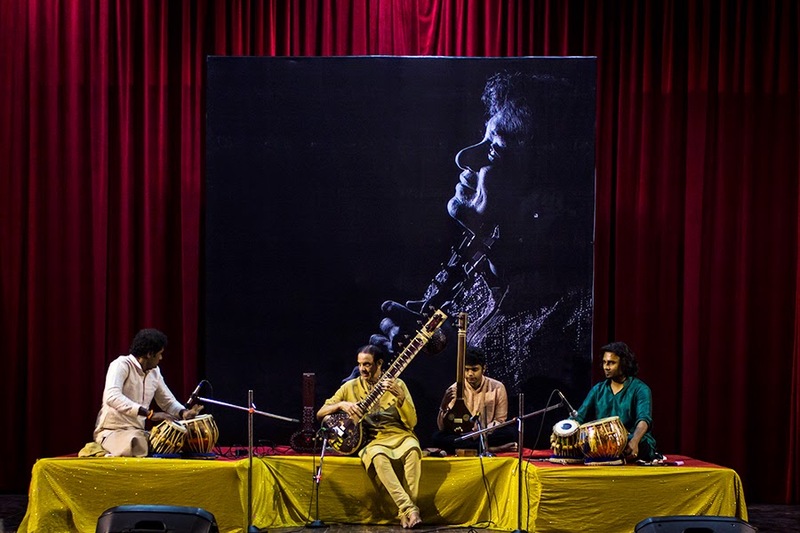 But this year, a few sabhas hosted a couple of concerts of this north Indian classical music. Earlier, Rasika Ranjani Sabha hosted a Hindustani violin solo concert by Kala Ramnath and more than a hundred rasikas attended it. Tchaikovsky Music Club conducted a 5 day festival at the Russian Cultural Centre and on the closing day, Pt. 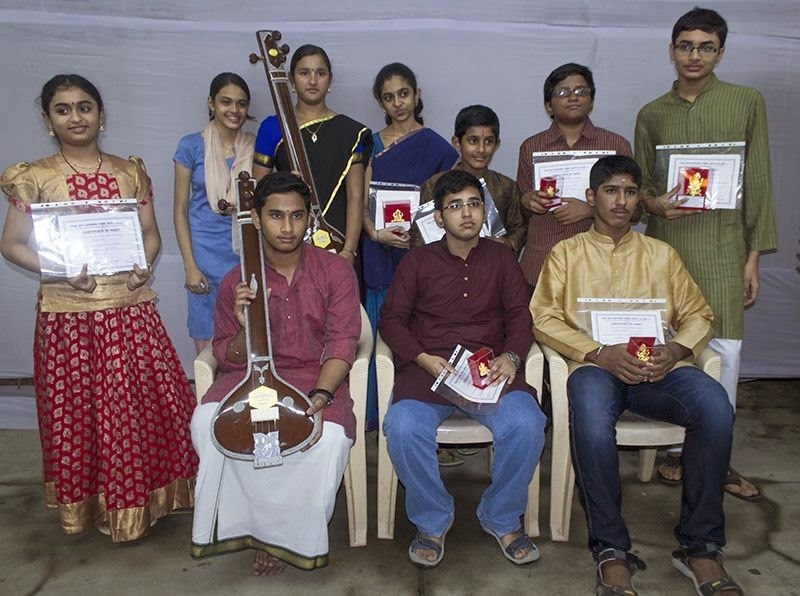 Janardhan Mitta presented a Sitar concert. 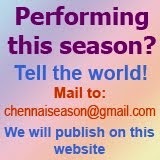 There is an audience for each style of music and the December Season in Chennai has realised it. Here is the concert in pictures. 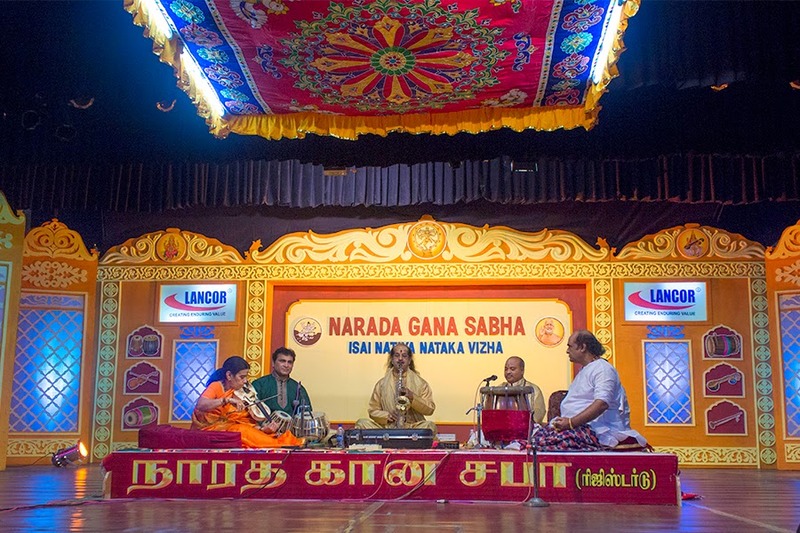 With the major sabhas like Narada Gana Sabha, Sri Parthasarathy Swami Sabha, and The Music Academy joining in on three consecutive days, the already busy schedule of concerts gets more crowded. At the inauguration in the Music Academy, rasikas saw a neat red and blue sky backdrops on stage. A different kind of experience for the gallery audience. The Music Academy's lec-dem sessions are also on from today at the mini hall. Well attended by music students, rasikas and experts, these sessions hold a lot of information for the uninitiated as well. 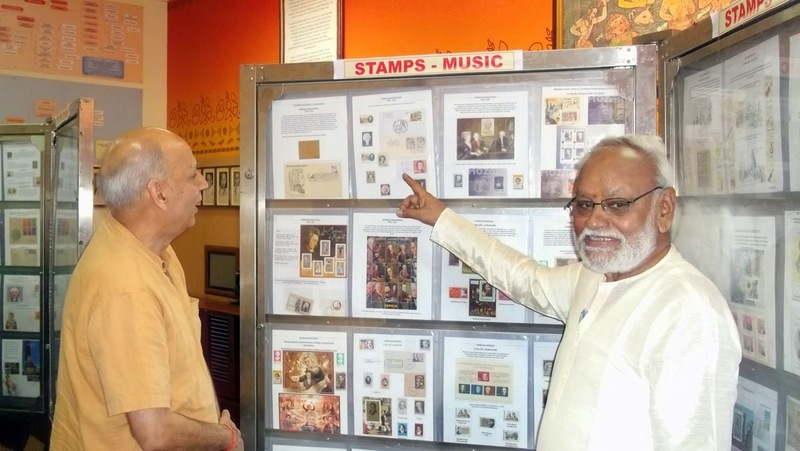 On day one, Commader G. Srirama Rao spoke on philately and Numismatics with reference to music. 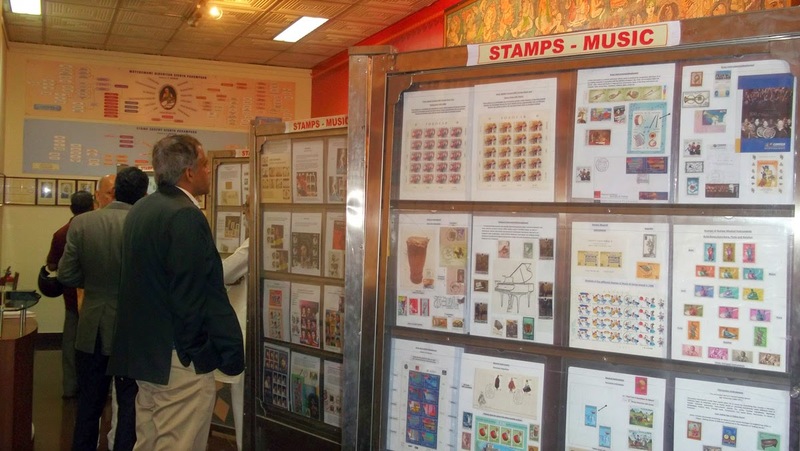 This retired Navy commander is passionate collector of stamps, coins, autographs, postal cancellations - all of music from all over the world. He had earlier held exhibitions of his collections in Visakhapatnam and other places. 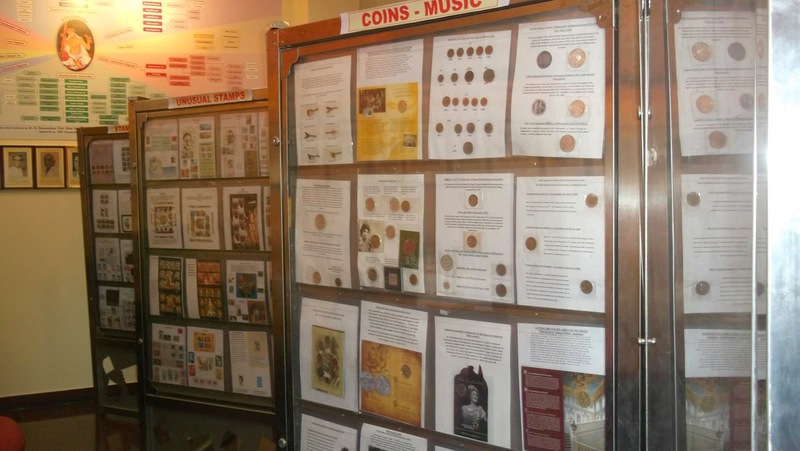 He has brought them to Chennai and they are on display at the TAG Digital Archival Centre inside the Music Academy premises till Dec. 20, 2014 between 10 a.m and 5 p.m. The special postal cover on D.K. Pattammal, when opened, play a song of the vidushi! There is also a stamp on Veena Dhanammal and a postal cover on Papanasam Sivan. 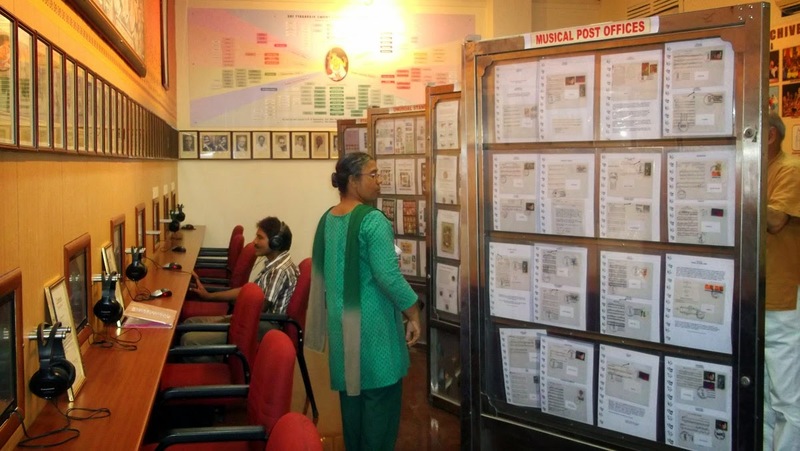 He has displayed a rare collection called ‘Musical Post Offices’ wherein he traced 76 post offices in 13 countries named after musicians and Musical scores. You could catch up with Mr. Rao and listen to stories of his collections at this exhibition. Mr. Rao says he is ready to take his collections to anywhere in India. All that he needs is the space and the display boards and tables. He will take care of the rest. Here are a few pictures of the exhibition captured by Ramya Vasudevan. On Dec. 13, 2014, the evening at Narada gana Sabha began with the mangala isai by senior nadaswaram vidwan Seshampatti Sivalingam. He is among the awardees of this year at the sabha. The presentation of awards and felicitation were simple and neat. 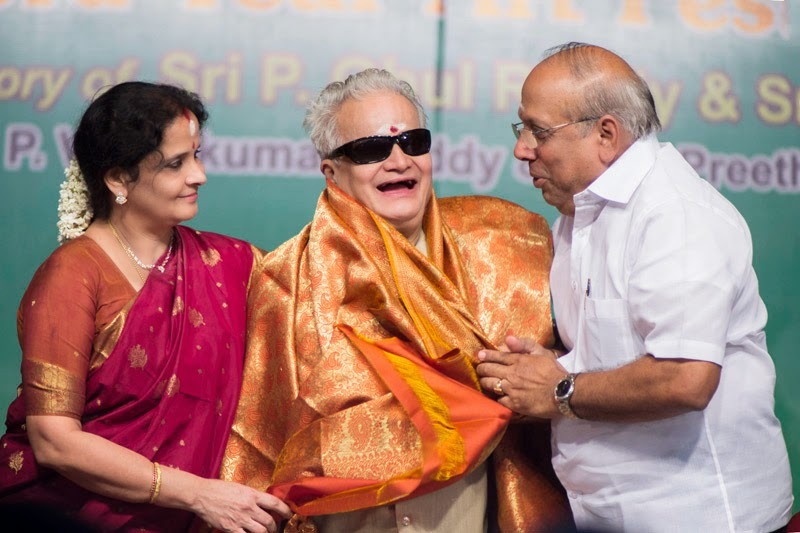 Sri U.Ve.Appan Parakala Ramanuja Embar Jeeyar Swamy of Sriperumpudur who inaugurated the festival and conferred the titles, spoke long on music, azhwars and the classical Indian art forms - music and dance elevates the performers and the listeners. 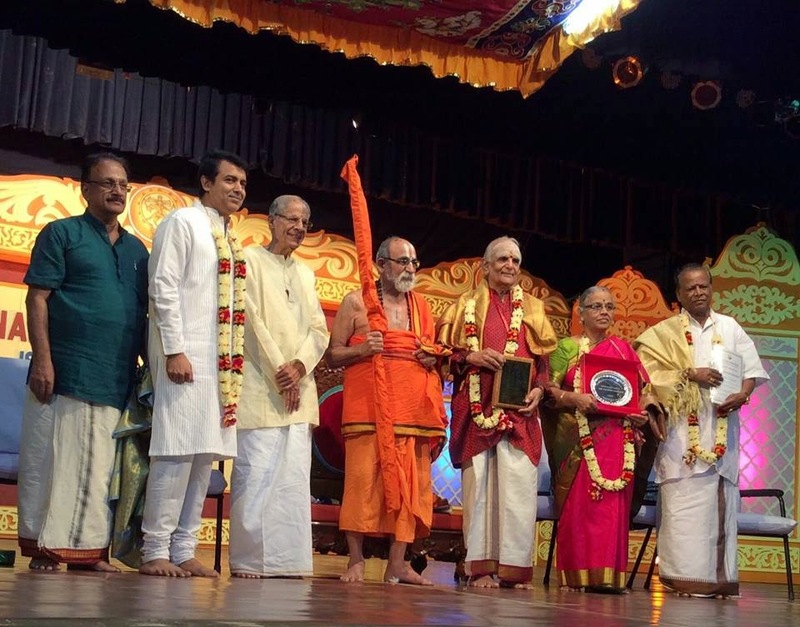 The award Nadhabrahmam was conferred on mridangam maestro Umayalpuram K Sivaraman, Senior Musician award to veena vidushi Kalyani Ganesan and Tirunelveli P Subramania Iyer award to nadaswaram vidwan Seshampatti Sivalingam were presented on the evening. Film maker and cinematographer Rajiv Menon was at the event to felicitate the awardees. Unlike many speakers, Rajiv Menon did his homework well to know about all the awardees of the evening and brought their profiles to the audience. He lauded Umayalpuram Sivaraman for his artistry and his generosity to teach music to many including the son of a mridangam maker. Vidwan Umayalpuram Sivaraman returned the gesture in his acceptance speech that with the kind of 'gnanam' Rajiv Menon has, he should be singing on stage soon and offered to play mridangam for him! A DVD on Padams produced by Natyangam was released at this event. 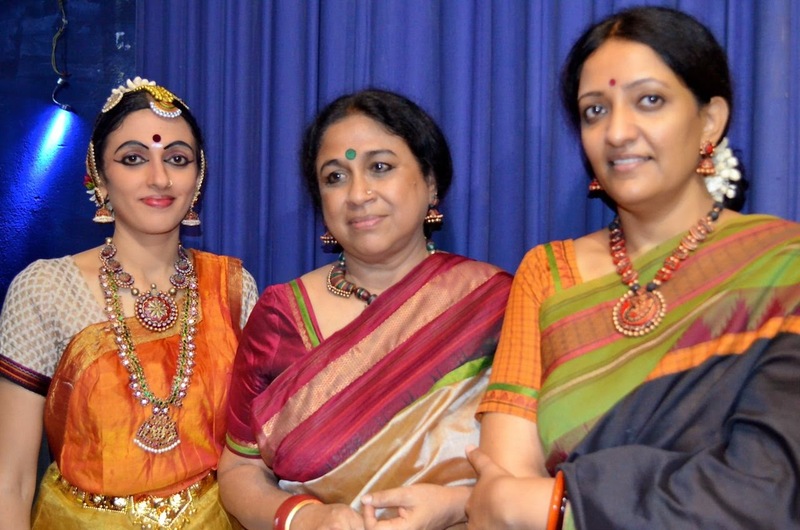 Vocalist Geetha Raja, scholar Sujata Vijayaraghavan and the dancers of Natyarangam received the first copies. Later Jeeyar distributed prizes for the annual competitions. A loud applause popped up whenever the very young winners received prizes! Following the award ceremony, Kadri Gopalnath presented a saxophone concert along with the senior violinist A. Kanyakumari. Established in 1900, Sri Parthasarathy Swami Sabha has been hosting monthly concerts and December festival since then. The festival hosts a morning lec-dem session every day at 8.30 a.m. Admission is free to concerts scheduled till 2 p.m. Th eevening concerts are ticketed. 8.30 a.m. - Lect. Demo. 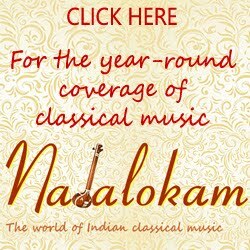 : Divyaprabandam – Vilakkam (indepth explanation) by Trichy J. Venkatraman, Vocal Support R. Saranayaki. 8.30 a.m. - Lect. Demo : Concert Pattern: Planning-Practice-Presentation. A panel discussion. 10.00 a.m. - Abang and Bajans by Pushpa Anand & Party. December is also the time of many celebrations. Margazhi Bhajans & Hanumath Jayanthi form part of the singing schedules for artistes and are extensions of the Decembeer Season in Chennai. 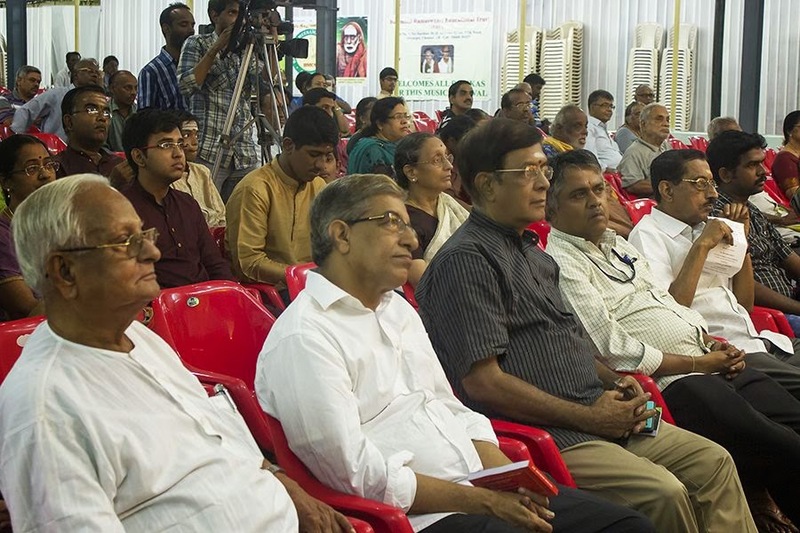 Guests, patrons, awardees, felicitators, sabha secretary were seated in a row on the dais at The Mylapore Fine Arts Club, as seen in all the inaugural functions. Customarily, a musician and a dancer are chosen for the awards. This year is no exception. 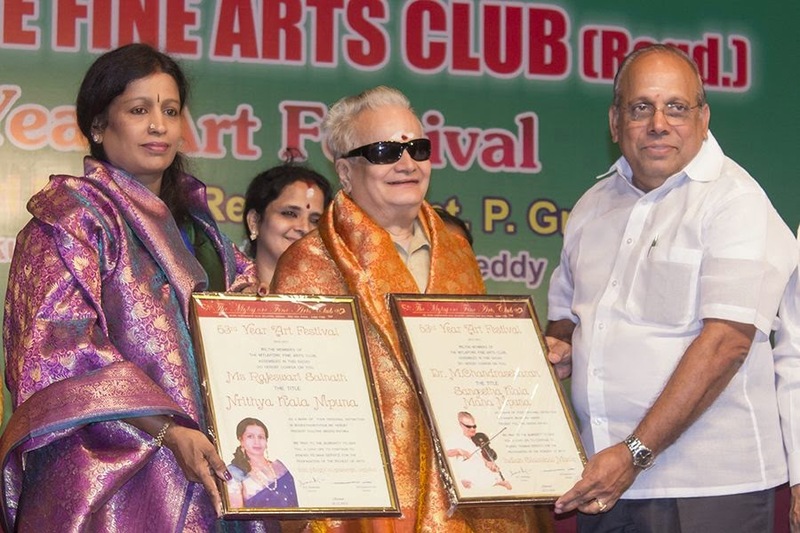 Both the awardees this year are well-known and have received many awards earlier, It was apt to decorate a senior vidwan, who has received many titles in his career of more than 70 years with a 'maha' title. 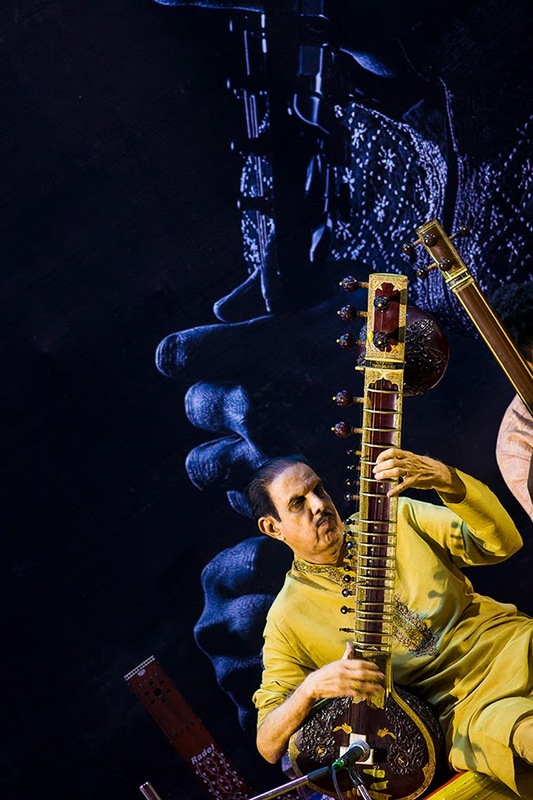 'Cleveland' Sundaram felicitated violinist M. Chandrasekar and informed the audience the roles the vidwan plays - violinist, vocalist, composer, guru and above all a 'rasika'. He related the title 'Maha' given to the musician-composer of the 1800s Maha Vaidyanatha Sivan with the title of Sangeetha Maha Kala Nipuna to the maestro. "To me, he is 'Chandru Sir', though he is many talents rolled into one," Sundaram said. He also hailed the Veena Dhanammal bani in the violinist's way of playing the instrument. 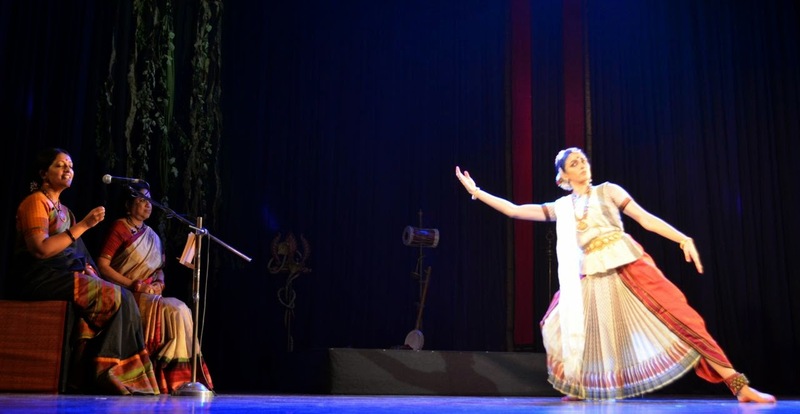 Nandini Ramani, who felicitated the dancer Rajeswari Sainath vouched for the Pandanallur Bani and the layam inbuilt in the dancer's performances. Nandini did not forget to mention T. Balasaraswati and T. Jeyammal though. Sikkil Mala Chandrasekahar and Patri Satish Kumar. 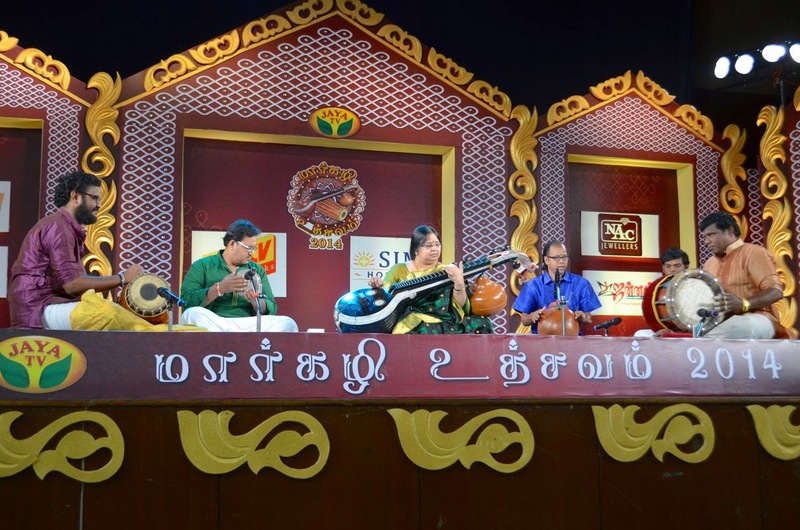 The artistes who will receive the title 'Sangeetha Saptha Sagara' are vocalists Gayathri Girish, Sumithra Vasudev, Amritha Murali and voilinists Akkarai S. Subhalakshmi, Dr. R. Hemalatha and Charumathi Raghuraman. The venue is Srinivasa Sastri Hall, Mylapore. Concerts are open to all. The festival is on till Dec. 17, 2014. A music school and a socirty that promotes Fine Arts in Singapore comes to Chennai every year durting December and showcases the best of talents from their organisation. A five day festival begins on Dec. 8 this year and goes on till Dec. 12, 2014 at the Music Academy Mini Hall. Here is the schedule of concerts. The 15 year legacy of Margazhi Maha Utsavam put together by Maximum Media began this year's series at Hamsadhwani, Youth Hostel, Indira Nagar, Adyar today. 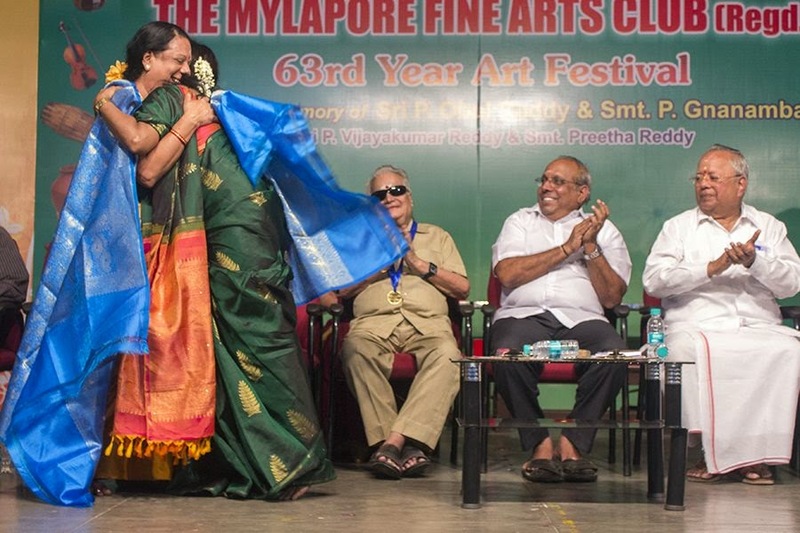 Mrs. Meena Muthiah, the Kumara Rani of Chettinad inaugurated the festival. 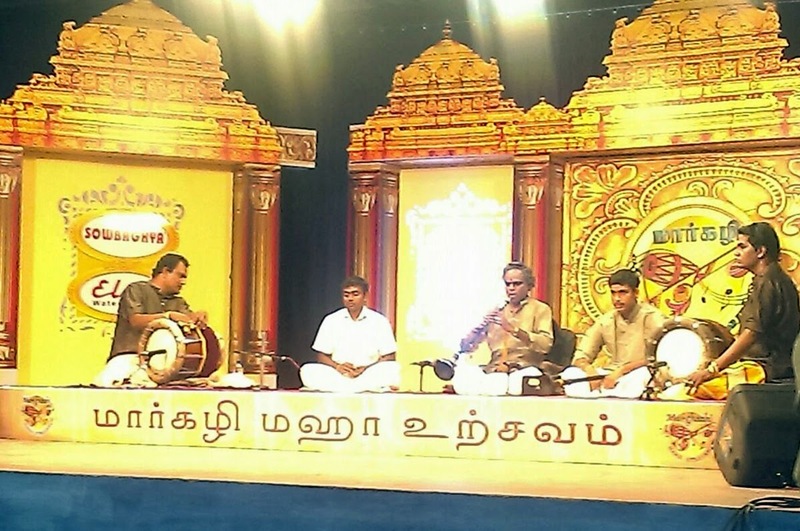 Rasikas began taking their seats as Tiruvavaduthurai SNR Krishnamurthy along with accompanists presented the Mangala Isai. The steady flow of audience made it houseful when T.M. Krishna was on stage. The first day hiccups did show up as the audio was low and couldn't reach those in the back rows. Many seniors braved the chill weather in Chennai since last weekend. The sides are closed with Shamiana and the hall is not fully closed or air-conditioned. Still, this venue is a boon to those living in the neighbouhood of Adyar and beyond till the colonies in ECR, as most of the concert venues are around either Mylapore or T. Nagar. 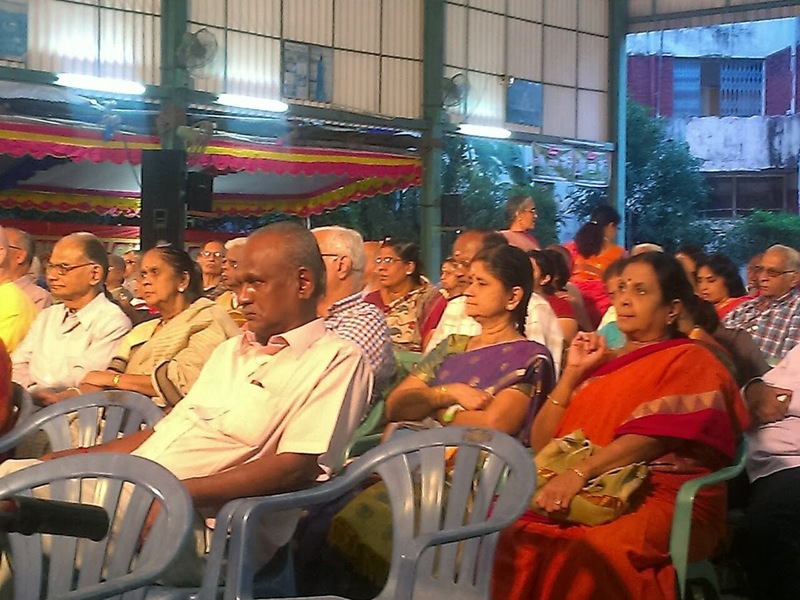 Here are some pictures of the scene at the Margazhi Maha Utsavam on the inaugural day. On Dec. 1, as in the past, the auditorium at Chettinad Vidyashram in R.A. Puram plays host to a 15 day long music festival by Jaya TV. The difference this time is just that it dropped 'Maha' from its banner and was called Jaya TV Margazhi Utsavam. 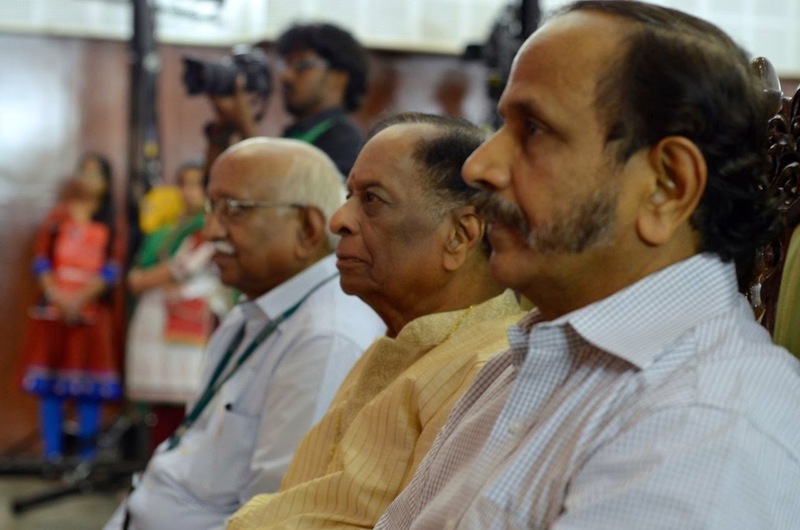 Veteran musician Dr. M. Balamurali Krishna and R. Nataraj IPS were the guests of honour at the inauguration. Young dancer Krithika Shurajit was the master of ceremonies. 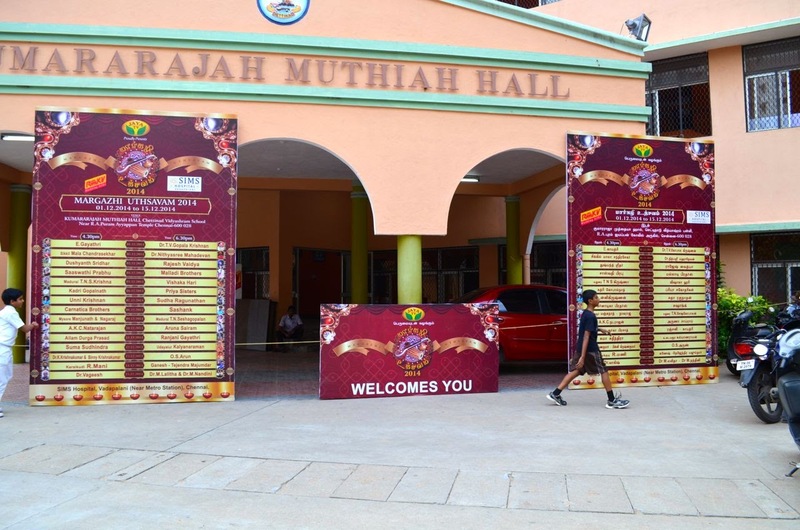 E. Gayathri presented the inaugural concert, amidst tight security in the campus. A few photos from the venue and concert. A three -week long annual Fine Arts Festival is organised in the campus of Meenakshi College for Women, Arcot Road, Kodambakkam, to coincide with the December Music Season in Chennai.